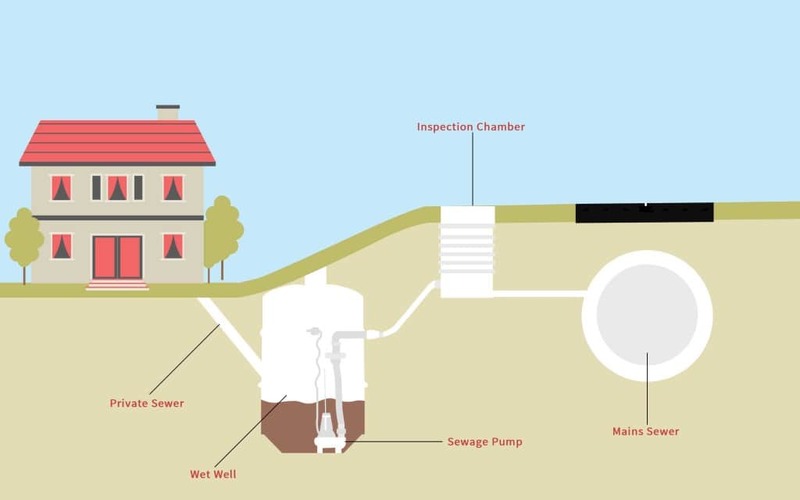 Home » Blog » What is a sewage pumping station? A sewage system is made up of a network of pipes that carry sewage from home and businesses to the main sewers. Ordinarily, the network of pipes relies on gravity for the waste to flow into the main sewer. However, in low-lying areas where the main sewer sits on higher ground than the domestic sewage pipes, the sewage needs to be transported to the main sewer in a different way. This is where sewage pumping stations come in. What is a sewage pumping station and how does it work? A pumping station is made up of a large tank, known as a wet well, that acts as the receiver for sewage from a building or a group of buildings. Sewage from individual houses flows into the wet well. The sewage will then sit in the well until it reaches a predetermined level. Once it reaches this level, a pump will kick in to pressurise the sewage so that it will travel out of the wet well, uphill, to a point where it enters the main sewer, or that it can then travel into the main sewer using gravity. 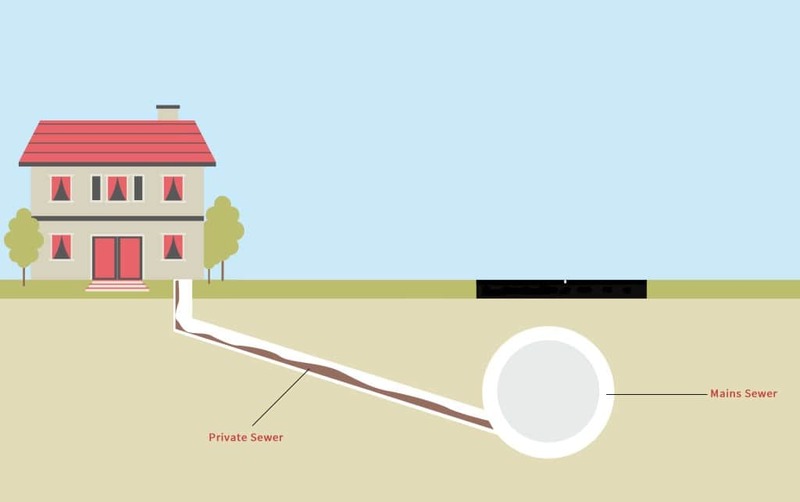 Illustration showing a house with a normal, gravitational, waste pipe system. When do you need a pump station? When the cost of groundworks to allow sewage to flow by gravity outweighs the cost of a sewage pumping station. When the sewer line passes over a ridge. If basement floors are too low to allow sewage flow by gravity. Where gravity system has not been built. A pump station offers convenience when installing a sewage system, and has a potential of cutting construction cost. Pump stations are fitted with remote monitoring systems, which keep operators updated. Sewage is pumped automatically without any human contact, which eliminates the risk of health problems. Different sizes of pumps are available for domestic applications and commercial applications. The intake of the pumps is often wide to prevent blocking. Sewage pumping systems are fitted with alarms to alert you to problems with the system. This minimises the risk of sewage overflowing as you are alerted quickly. Design and installation need to be done expertly to ensure that the system is reliable and fit for purpose. This requirement for expertise means that it can be costly. Although the pump systems generally don’t use much power, there is still a cost to the electricity over using a gravity system. It can be difficult to source parts for your pump. This can be avoided by taking up a maintenance contract with Pumping Solutions. Fat and grease build-ups can impact reliability. Although pumps are selected to minimise the risk of blockages, there is still potential for blockages to occur. House making use of sewage pumping station. Most of the disadvantages, such as blockages, fat build-up and parts problems can be resolved by speaking to your pump company. When you deal with us at Pumping Solutions we take the time to understand the usage of your sewage pumping station before making a recommendation. This means that we can take action to combat potential issues like fat build-up and blockages. For more information on sewage pumping stations, or to arrange a survey contact the team at Pumping Solutions. We’ll use our decades of experience to provide you with intuitive solutions to solve your water and sewage treatment problems.